Let's have a look at who pays federal income taxes. 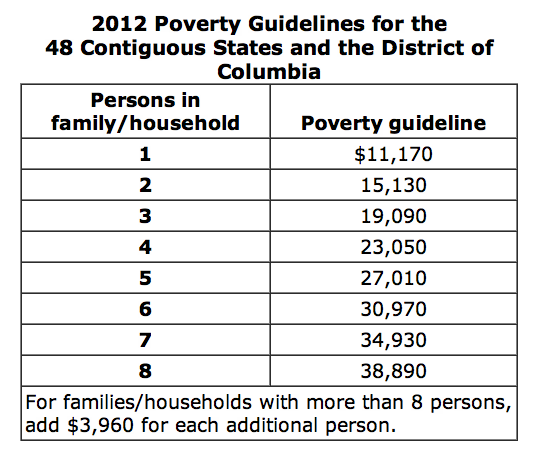 The lowest quintile consists of people who make less that $16,812 a year. The second quintile is marked at $33,542. The middle quintile tops out at $59,485. The median income is $50,054. Real wages have decreased and income disparity has increased. Meanwhile, 46.2 million Americans live in poverty. The irony here is that Republicans can claim credit for the increase in tax credits that benefit so many low-income families and yet instead choose to look disdainfully upon those recipients as self-proclaimed victims standing around with outstretched hands waiting for the government to give them entitlements. As we can see, it is possible to be so far out of touch that you can't even fake being able to relate to the majority of the population you seek to be president of. Workers know that both parties look down their noses at us. Romney's comments are likely more an acknowledgment of defeat than a cause of it. He should be trying to attract voters now and he's saying "screw it." The other part of this rather meaningless dialogue is Obama's WTO suit against China over car manufacturing subsidies. Although the suit itself is pure politics and rather stereotyped (workers=UAW members and "USA USA USA! "), it's interesting that at two junctures in the campaign workers have forced acknowledgment of the unfair trade policies with China. The first was Ryan's truthful statement that China manipulates its domestic currency value in order to push exports. Of course, to elite partisan Democrats and the media, it was far more important that Ryan lied about his marathon time, or the percentage of his body fat. Shame on you people. Whether Obama or Romney wins, average Americans will continue to be completely screwed in favor of Wall Street. As we watch the NYPD-CIA-DHS violently dispose of Occupy protesters yet again, as Obama demands indefinite detention powers and "civil liberties" Democrats remain silent, it may be good to reflect just how ruinous the Democratic-Republican oligarchy has been for democracy, our economy, and the environment. It's time for change we can believe in. The Democrats obsession with the tallow content of Paul Ryan's body is kinda ugly. It's like they're planning to boil him down for candles and lampshades. Actually, Ryan and Obama have similar physiques and similar vanity about their appearance. But, with Ryan and also Scott Brown, the media and the Democratic Party have some sort of high pitch whistling going on. I notice the Democrats whistle a different tune when seeking donors in Hollywood. I can't say I really care about a politician's sportiness. FDR was a physical wreck but he could flick aside Obama and Romney with his littlest finger. George W Bush was extremely fit, but, enough said. I suppose I'd rather that politicians have both substantive policy and set a good example of health. But, I'm OK with politicians in either party, of any color or gender or orientation, sweating it out to Macho Man in a Zoomba class. Romney's current comments are reminiscent of Obama's "guns and religion" in 2008. It's pretty obvious that both parties are rather snobbish to the majority of Americans, even if we are fat. I also wish there was a real debate on WTO. On the far right, Obama could argue that workers can get justice within the judicial strictures of the agreement. What's missing is a party arguing that the structure of WTO itself is unfair. Ryan has come closest by talking about issues that are forbidden topics of litigation within WTO. A real debate ain't going to happen though. This election is about BMI and the merits of the White House beer recipe. In other elite news, executive compensation in publically traded companies in the Inland Northwest jumped 13.3% last year. That's on top of a 17.9% jump in 2010. Our elites are very, very expensive to feed and maintain. Can't we outsource them? From the Journal of Business. I don't see Romney coming back, because his statements have more structure than a simple gaffe. They sound like the revelation of a secret belief, and, in context of the video, almost of a secret society of believers. Romney's Mormonism already makes him vulnerable to suspicion of secrets and secret alliances (wrongly, but). Although this gathering was not Mormon, it lends itself to the feeling of a secret cabal. It also points directly back to Romney's secret tax returns and secret bank accounts in Switzerland and the Caymans. Romney's campaign had gotten the Mormon thing right up to now, by de-emphasizing it and alluding to JFK's Catholicism. It helps that Romney is from the East. But if a video had leaked of JFK and cronies yukking it up about how they were just using working class votes against working class interests...not sure even that son of Joseph could overcome the fallout. It would be interesting to be Romney's campaign manager right now. From appearances, it looks like they are doubling down, and hoping to inflame the base. But, they are inflaming a fourth of the base to vote harder, and three-quarters not to vote at all, and giving independents another reason to vote for Obama. Money can buy distraction, but money is not votes if the secrecy is pierced. We have seen the man behind the curtain. You have to wonder if some Western states won't be in play for Obama again as this tape gets played and replayed. There's also his joke about Mexican parents that's a little hard to figure. I'd suggest instead of doubling down that Romney say something about "In America, elections exist so voters can learn about the candidates, but they also exist so the candidates can learn about America. I've learned a lot in the past few days, and for the rest of my campaign I'm here to learn more." Actually, a little humility would contrast nicely with Obama's smooth, but increasingly snide, sense of self-coronation. Turn it into a redemption narrative. Always worked for Clinton. Oddly, the Democrat and media attacks on Ryan, which have in fact bordered on the inane, probably inoculate Ryan from the Romney fallout. He's already distanced himself somewhat. Like Palin, he may be the bigger Republican story after the election is over. But, unlike Palin (or Republicans generally) he actually engages in issues, agree with him or not. He'll be the point man on the budget. This has been the best week in an otherwise horribly evasive election. Maybe there is some hope for the debates to discuss real class issues after all. Particularly interesting if the vp candidates stepped out of the usual role of attacking the Presidential candidates and talked policy. Maybe if Ryan feels Romney is doomed he'll try for some stature, looking ahead.